Will Ferrell is an obsessed self-help book step Dad, who goes in a head to head with real Dad Mark Wahlberg. One is a wimpy office worker, the other is an undisclosed undercover killer. Ferrell has to work hard to get the kids approval, where as Wahlberg effortlessly drips cool. 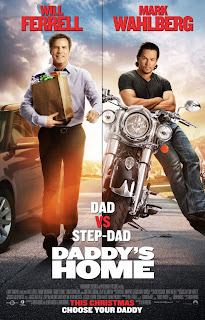 Its a head to head battle of the Dads as they battle for the kids affection is ever escalating silly stunts. While the skits are funny, they are fairly short and there seems to be a lull with not a lot going on between them. There are a few chuckle out loud moments, but not really enough for a comedy film. Worth a watch on DVD though. This is finally the proper Star Wars sequel we have been waiting for since 1983. Forget the CGI mess of the prequels. This is back to proper Star Wars. Decent story, practical effects, rubber creatures, real robots, no green screen, good story, space dogfights you can see, the list just goes on and on. 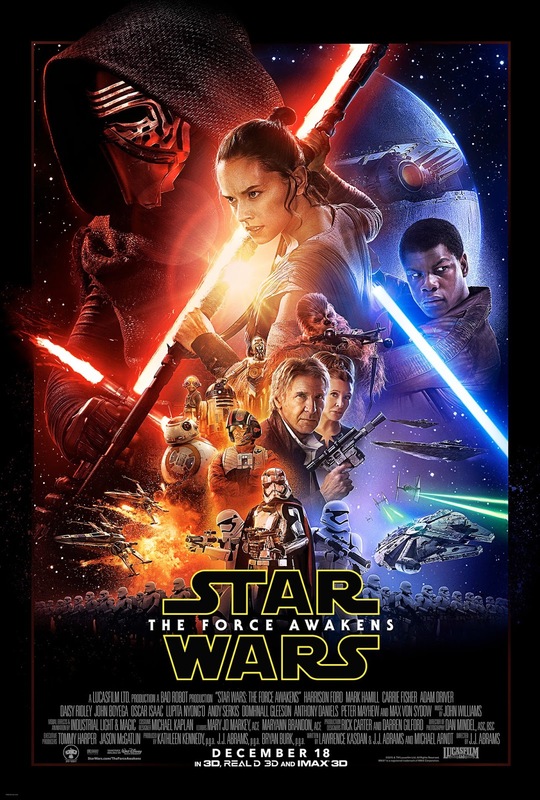 Its very similar to the original trilogy in that it starts with unknown characters and story and things gradually piece together. There is the perfect mix of new and old characters, with them all displaying the quips and jokes of the original. The sets are familiar yet fresh, and the sound effects bring smiles to your face reminding you of the old. There are also a couple massive shockers, one revealed quite early on, the second has been spoiled for several by idiots on several forums. Quite simply the best film this year, roll on the next two (five if you include the spin-offs)! The 3D pops at certain points, with the odd star destroyer and light sabre poking out at you. The D-BOX was on top form for all the spaces fights. 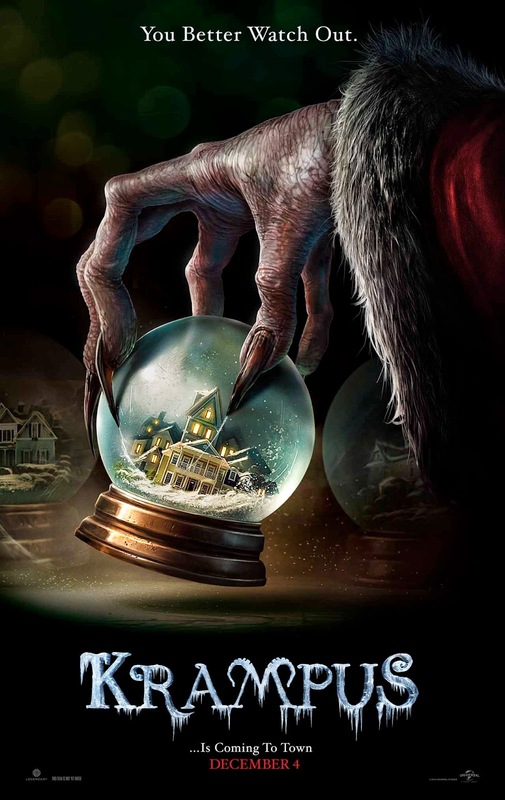 As the world waits for Star Wars next weekend, we decided to take in a bit of Christmas horror that has been making good waves in Krampus. Unfortunately I thought the film had a bit of an identity crisis, in that it wasn't sure if it was a serious jumpy horror or if it was tongue in cheek B-movie. This is a fatal flaw, as if it had gone B-movie all the way it would have been much more fun. Firstly the film takes waaaaaay too long to get going, and you don't care hugely for the characters and if they get carted off to hell or not. Secondly it starts with some weedy scares which we are meant to take seriously. Finally it then seems to flip into Gremlins mode and the family starts to bond and you start to like the movie a bit more. The creatures seem tongue in cheek, such as the gingerbread man and the grizzly teddy bear, verging on the genuinely spooky jack-in-the-box and Krampus himself. It just hits me as a bit all over the place, part horror part comedy, but not merging them very well. DVD job at best. Madonna's Rebel Heart Tour arrives at the O2 Arena in London for 2 nights only and is packed to the rafters. Singing songs from her latest album, along with remixed old classics, it was just over 2 hours of amazing entertainment. We were apparently treated to special version of "Like a Prayer" as it was World AIDS day.